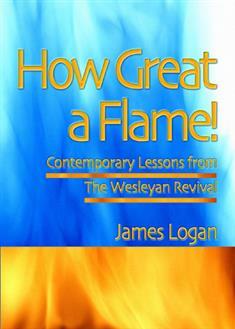 In How Great a Flame, James C. Logan connects John Wesley's passion to reach people with the good news of Jesus Christ with the current realities of the church. As he shows how grace and the concepts of Wesley's societies invited people into deeper relationships with God, Logan offers practical advice for healthy congregational ministries of outreach and evangelism. Each chapter also offers questions for reflection and small-group discussion.